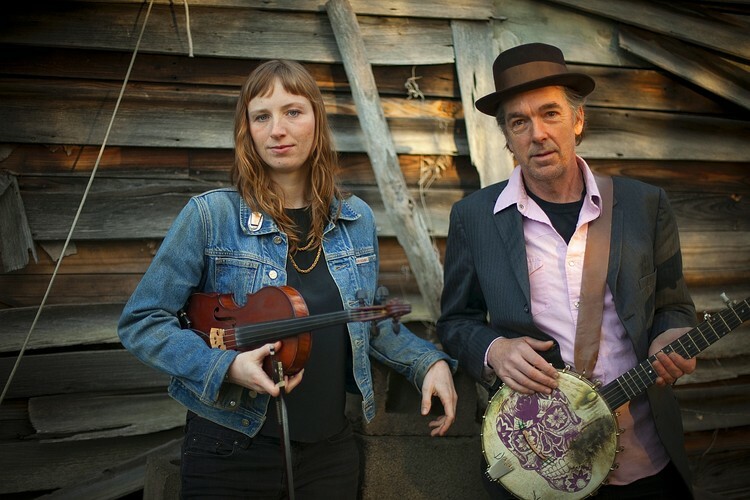 Richie Stearns and Rosie Newton are a dynamic duo performing music rooted in the Americana tradition. Over the past four years they have collaborated in various projects and formed the duo after hours of jamming in Stearns' kitchen, experimenting with traditional and original songs. Stearns is a legendary banjo player and singer, and has led bands including the Horse Flies, and Donna the Buffalo. He has also played with countless others, and tours with Natalie Merchant. He is steeped in the traditions of American old-time music, Appalachian folk, blues, African, rock, and country music. Rosie Newton is a talented fiddler and singer who has toured with the likes of The Duhks, Louisiana legend Preston Frank, Red Dog Run, the Evil City Stringband, Home Remedy, and occasionally Ferintosh. She has taught fiddle at Sunshine Coast School of Celtic music, the Taylor Music Festival and the Black Pot Camp. With the release of their 2nd full-length album, “Nowhere in Time” in 2017, Richie Stearns and Rosie Newton take the fiddle, banjo combination to new levels as they continue to expand the boundaries of this tradition. Doors open at 7:20pm for those who have booked.